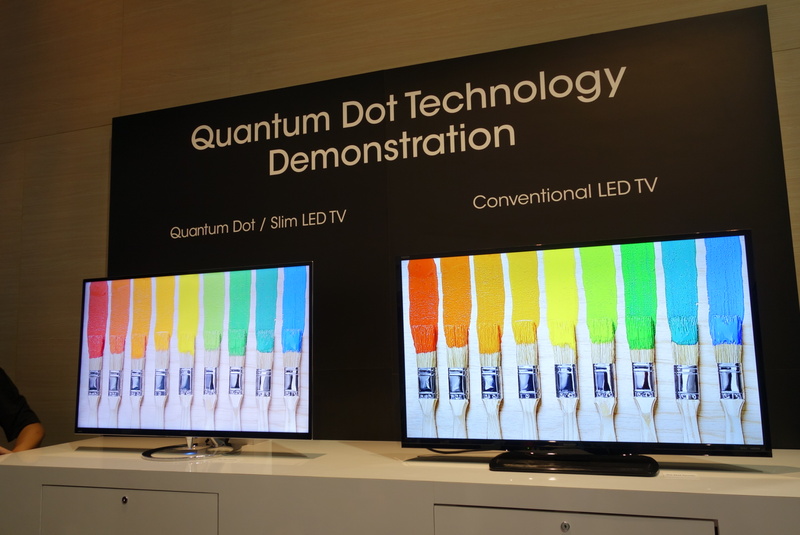 Quantum Dots Are The Hot New Thing At CES. So What Are They, And Why Should You Care? 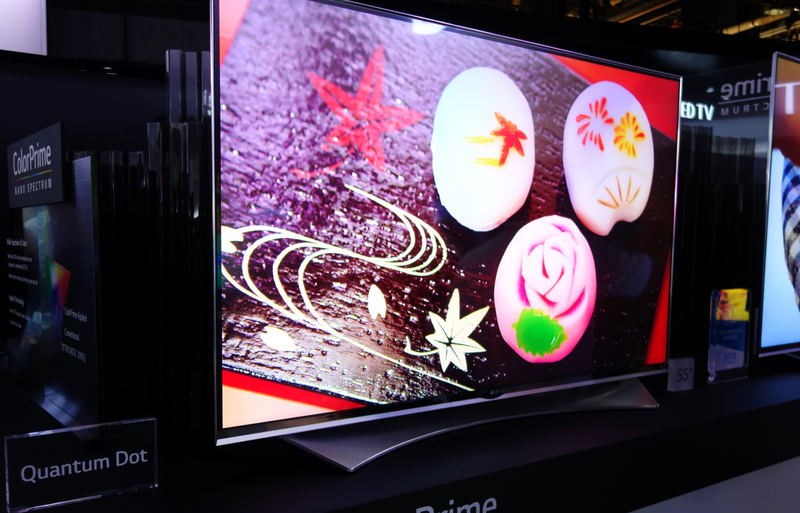 TV’s are getting bigger and better every year, while also getting thinner and lighter. That’s good, but even as resolution increases by leaps and bounds, there have been some trade-offs in performance. This year, though, a new tech with a name right out of science fiction — the quantum dot — is the buzzword promising to be the solution to that problem. Quantum dots? What are they for? Basically, quantum dots let your TV screen look and perform better while costing less and being easier to make than alternative tech allows. Quantum dots make the color you see look oodles better by fine-tuning the light that comes out of the backlight before it hits the screen. Right now, the majority of flat-panel displays use LCD tech. While LCD screens have been improving consistently since flat-panel displays first worked their way into consumers’ homes in the late 1990s, the newer, more recent change to powering them with LED backlight has introduced a couple of weaknesses. One is that they don’t display black — the absence of light — terribly well. The other is that they aren’t necessarily great at displaying a full range of crisp, vivid colors. LEDs make TVs thinner, lighter, and much more energy-efficient, so everyone’s been jumping to using them despite the tradeoffs. But there are tradeoffs: LEDs light up the pixels on your screen in a different way than older bulbs did, and reds and greens tend to come out undersaturated as opposed to blues. Enter quantum dots, which can compensate for those tradeoffs. Basically, they’re tiny little particles that can be sized to transmit any specific color in the EM spectrum. (Wikipedia has a run-down of the science if you are particularly interested in physics and math today.) When you put a layer of them between the LED backlight and the screen, the color you see from the screen looks sharper and better. We presume that in person, the difference is more drastic. Isn’t OLED supposed to do that too? Why this and not that? As The Verge explains, OLED has turned out not to be as easy to manufacture as electronics companies once hoped. The screens do look lovely — LG is showing tons of them this year — but challenges in mass production have manufacturers looking to quantum dots as “a plan B,” as The Verge puts it. Quantum dots have a couple of big advantages over OLED. One, they’re an added step to the existing manufacturing process, and not a huge revamp, so they’re easier to start adding in. And two, adding in quantum dots costs about 1/3 as much as making OLED screens. On the other hand, there are also two major drawbacks. Quantum dots are hard to scale, it turns out, so while they’ve been making appearances in smaller devices like tablets and laptops for a while now, getting them into TVs has proven to be a bigger challenge. That’s why we didn’t see them sooner. The other big problem is that they’re poisonous. Specifically, The Verge explains, they are made with cadmium, which is banned or on its way to being banned in many countries due to its toxicity. A new factory opening in South Korea later this year plans to make the dots in a different, less poisonous way, but isn’t online yet. Is quantum dot tech as great as advertised? Our intrepid reporters on the scene say: maybe! Consumerist boss Meg tells us that all of the TV screens look “like magical windows to glorious worlds,” but since they show promotional stills and pre-prepared demo reels, instead of real content, it’s hard to get a comparative feel for what display might be better than another. Well, I do need a new TV. Can I go buy one of these? Not yet. These fancy LG and Samsung screens are all on display at CES, but the versions you can buy won’t hit store shelves for some time. And when you can, it’ll be expensive. Not as expensive as an OLED set, but still somewhere in the range of 30% – 50% more expensive than today’s standard LED set, The Verge predicts. But if one thing is true about tech, it’s that it gets cheaper over time. Perhaps for Black Friday 2019, a 4K quantum dot TV will be a good deal. Next 3D Printers: Should They Be In Every Consumer’s Home? Next Up: 3D Printers: Should They Be In Every Consumer’s Home?